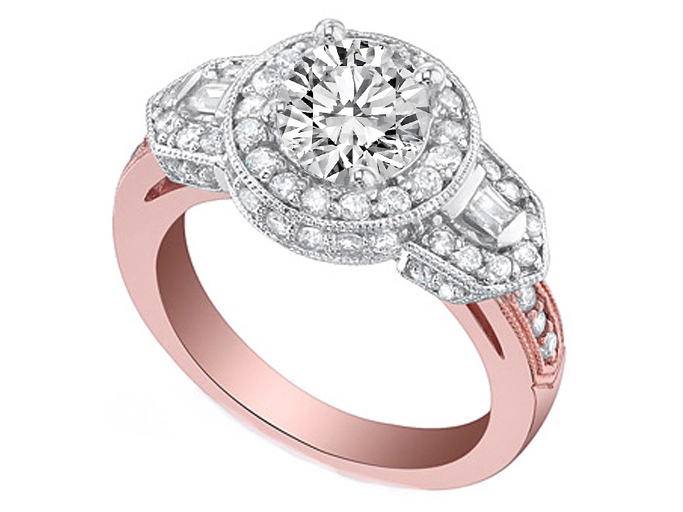 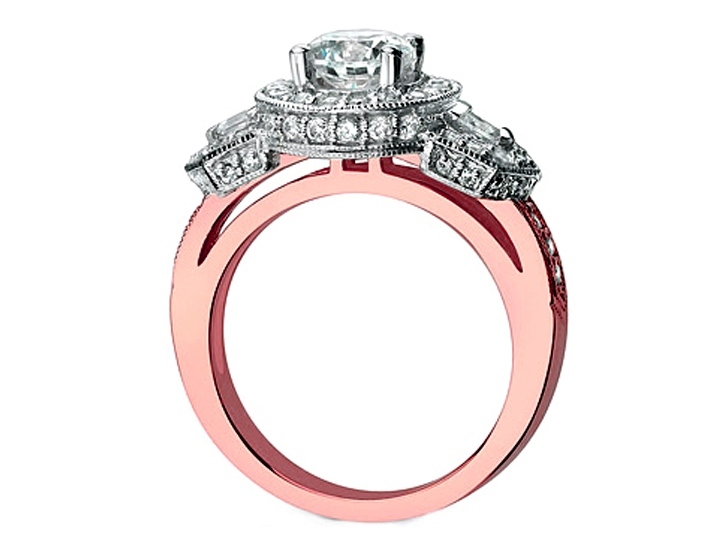 Pink Gold Diamond Halo Engagement Ring with Baguettes 0.84 tcw. 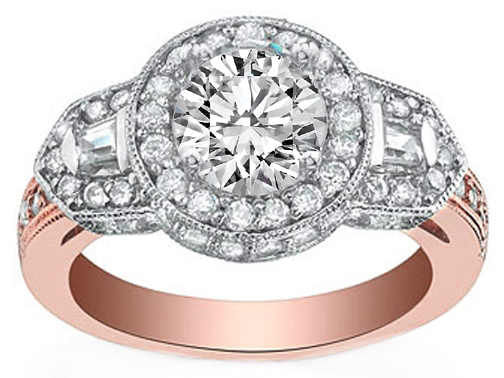 This two-tone engagement ring setting features set on the halo and on the band fifty-eight Pave set in a halo and on the band round brilliant cut diamonds and two bar set baguette cut diamond set in 14 karat rose gold and 14K white gold. 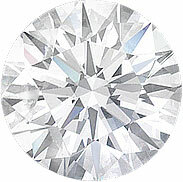 Custom made to fit your perfect round diamond.